But it’s true; you can learn magic for completely free, if you know where to look online. And I’m not just talking about YouTube; there are some great tricks on there, but it’s almost impossible to get to them since they’re buried beneath hundreds of rubbish ones. I’m talking about REAL, working magic that professionals use. Sit down, grab a drink, and put your feet up. This is going to be eye-opening. Okay, I can’t put the reveal off any longer. 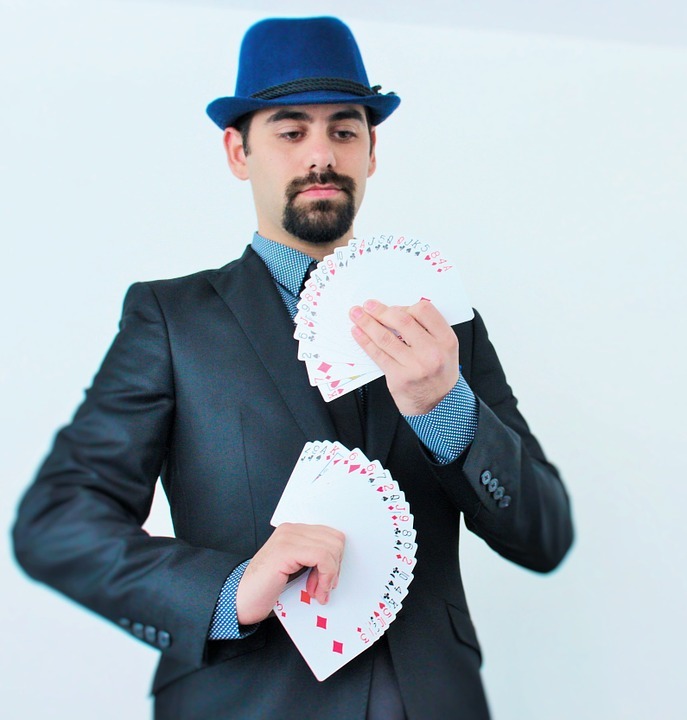 The best place to learn free magic online is a little site called… Penguin Magic. Many of you might now be thinking ‘Penguin Magic? The online magic shop? The one where you have to PAY to buy magic?’. 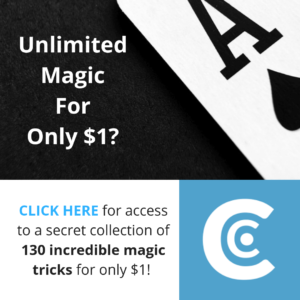 See, there’s actually a little corner of Penguin Magic that not many people seem to explore, but contains nearly a hundred magic tricks, all completely free. I’ll walk you through how to get to it in a few steps (it’s really simple). Step 1: Open Google. (Or any other search engine). Not too complicated so far. All you need is access to the web for this part and you should be all set. 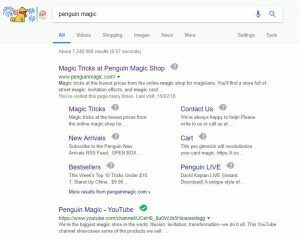 Just search ‘Penguin Magic‘ and you should find it straightaway. 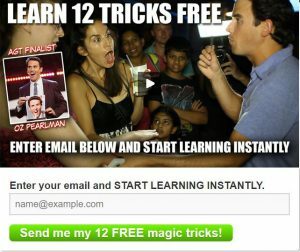 Step 3: (Optional) Get 12 magic tricks for free. This isn’t actually what I wanted to show you, but it is definitely worth your time. If you enter your email, you’ll receive a confirmation email which you need to complete, after which you’ll receive a DVD download with 12 free tricks. Oz Pearlman (the same Oz Pearlman who appeared on America’s Got Talent, just a little younger) will then walk you through these great tricks. Step 4: Scroll down and look to the left. Right in the bottom left-hand corner, you should see a little category labeled ‘free magic tricks’. Click on this. Step 5: Find a trick you want to learn. At this point, there should be around 100 free tricks to choose from- try to find one with a 5 star rating that looks like something you’d like to learn. You can also watch the promotional video to get a feel for the effect. Step 6: Learn it for free. At this point, you’ll need to press ‘Add to cart’. Don’t worry, you still won’t have to pay anything. Then you go to ‘Checkout now’. Here, you’ll need to enter some details the same way you would if you really were paying for it; Penguin Magic treats it as if it really is an order for some reason. 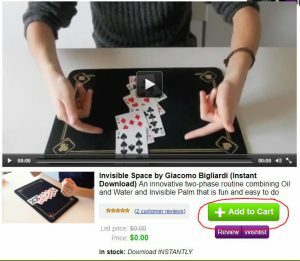 Then, you’ll have to click ‘Place order’, and of course, no money will be taken from you, but you will gain access to the trick and be able to watch it straightaway. You can redo this process as many times as you want, which is the beautiful part! When I checked today, there was even a 2-hour long video by a pro magician, giving information and advice for the audience. There really are some great effects being given away completely for free, so I would definitely advise you to go have a look!